Our role involves fostering and strengthening the UK’s defence innovation ecosystem, facilitating pre-competitive collaborations and access to opportunities. We actively work with policy makers, funders, innovation agencies, researchers and innovators to identify shared challenges, establish synergies, and maximise the value of co-investments. 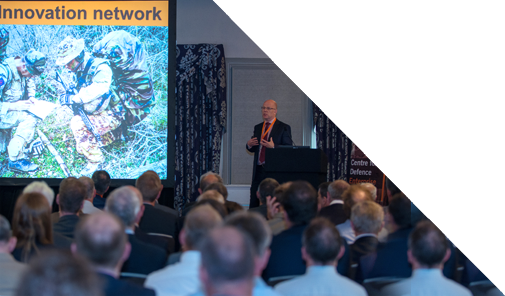 The UKDSC works an impartial broker, connecting technology developers with defence customers to help increase the potential for end-user exploitation and achieve higher-impact scalable innovations. We also partner with funders such as the UK Ministry of Defence, Defence & Security Accelerator (DASA) and UK Research and Innovation (UKRI) to shape competitions, as well as design and deliver innovation lab workshops. On the journey to find commercial applications for new technologies, the UKDSC leverages its wide networks and understanding of the competitive environment to help innovators overcome pitfalls and sharpen focus on what’s feasible. Moving from concept to military capability, we offer a free high-end industry-grade visualisation lab, which can used to rally potential partners around an emerging Concept of Operations (CONOPS), securing a shared vision for future strategy. 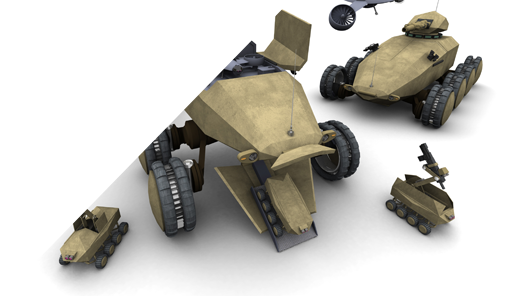 Technologies developed for adjacent sectors could be applied in a defence context. Innovation that have both defence and commercial applications increases potential market volume and opens the door to non-defence funding sources. The Cross-Sector Innovation Framework (CSIF) has been established to promote joint collaboration between the Defence and other sectors. 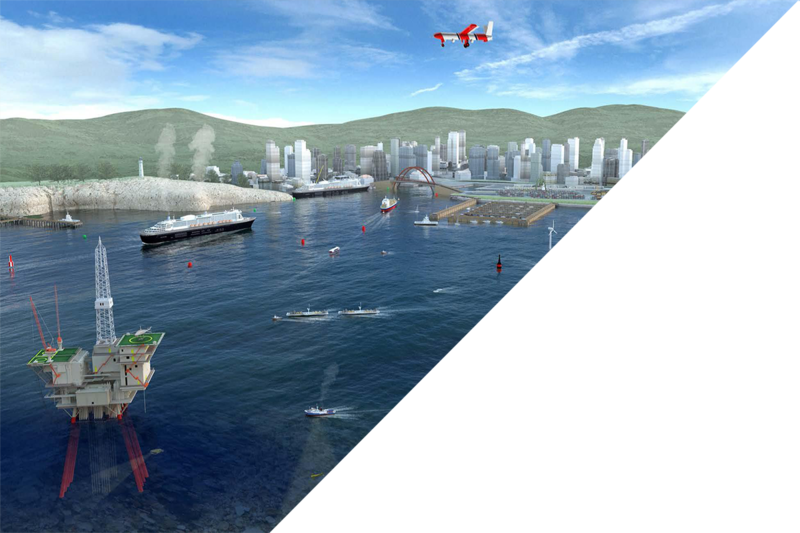 The Underwater Autonomous Systems initiative within CSIF promotes collaboration specifically between Defence and the Subsea sectors through identifying areas of mutual interest within UAS. The UKDSC in conjunction with Subsea UK are collaborating to explore areas of mutual interest in advancing the utilisation of autonomous subsea systems in the Oil & Gas Sector, Defence Sector and expanding into other sectors such the Offshore Renewable Energy (ORE) sector. The aim is to optimise resources and accelerate research within the subsea industry. The initiative is centred around four main themes Power & Communications, Sensors & Data, Deployment and Operations with a view to developing a funded competition that advances those themes. The aims and objective of this Joint Initiative is to share knowledge within underwater autonomy across both the defence and oil & gas industry sectors. The objective is to identify and deliver common opportunities within the supply chains, research themes and to establish best practice. The aim is to build the UK’s strength across both sectors within the UK and the international market. The combination of strong domestic and international defence needs for the sort of applications provided by High-Altitude Intelligence, combined with an even stronger increasing commercial interest, makes this a high potential CSIF theme. Utilising platforms situated above 50 000 ft up to LEO, the UKDSC intends to explore how innovative uses of technology and business models can transform the delivery of intelligence. Working with relevant stakeholders, we seek to identify areas of common interest for both defence and commercial sectors with a view to developing innovation challenges and other activities intended to accelerate development of UK industry products and services that can be exploited domestically and internationally. The innovation team is keen to engage with all types of organisations involved in the UK value chain, even across sectors, where there are advantages to co-investment and pooling of research and development capability. We are interested in advancing innovation in all domains relevant to defence – Air, Land, Sea, Cyber and Space. We also invite researchers and innovators working in UK Universities and small to medium enterprises (SMEs) to join our collaborative sharing platform. Get in touch with us. The UKDSC in impartial, with no financial stake in any of the commercial outcomes, no aspiration to own intellectual property and no contracts. Instead, we are working to put innovation at the heart of defence.